This week’s vega chill-out comes from Lebanon, this kitchen is very upcoming in Europe. Did you know that Paris has as many as 450 Lebanese restaurants? Want to know more about our chill-outs? Then click on this link. Below you will find the different chill-out dishes The Grass Company Spoorlaan has for week 13, 2018. 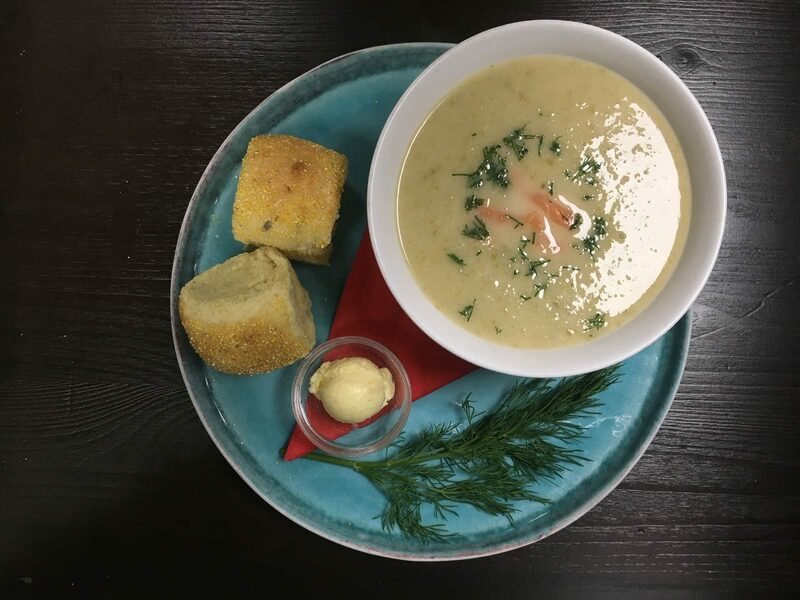 Bleak cellar cream soup with smoked salmon, croutons and dill. 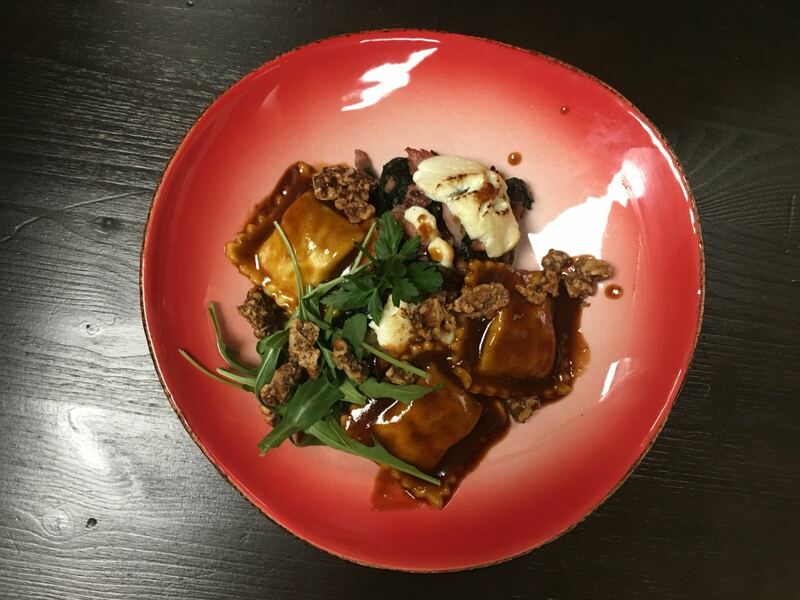 Stuffed portobello with smoked bacon, goat cheese, spinach, ravioli, walnut crumble and honey-port gravy. 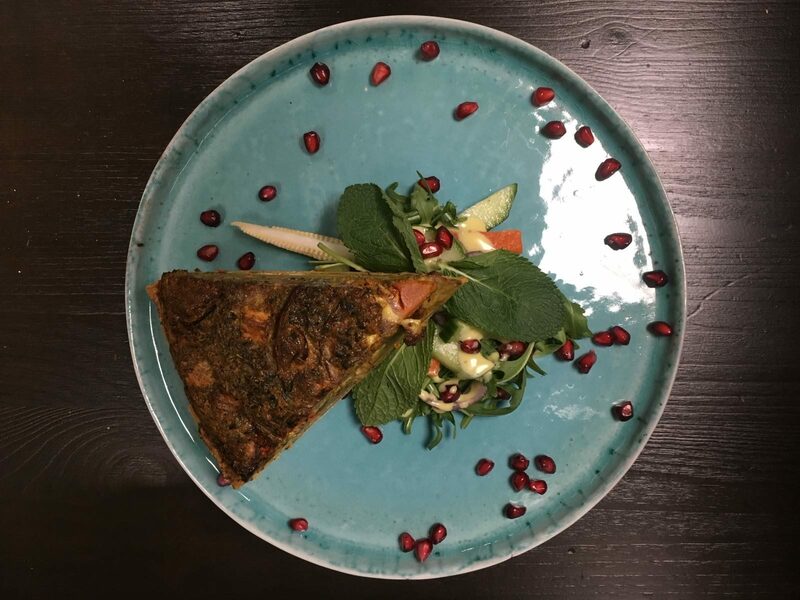 Lebanese Quiche with za-atar, feta, tomato and a salad of chickpeas, mint and pomegranate. These weekly dishes are available until Wednesday 28 March from The Grass Company Spoorlaan. Reservations are not mandatory but recommended if you want to be sure of a place.